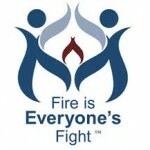 Urgent Steps Needed to Reduce Fire and Carbon Monoxide Injuries! New Hampshire State Fire Marshal, J. William Degnan, warns residents that with the extreme weather, urgent steps are needed to reduce fire and carbon monoxide deaths and injuries. Millions of Americans have suffered through treacherous weather – snow, ice and Arctic-like temperatures – already this winter. And while these extreme conditions have received much deserved attention, U.S. residential fire and carbon monoxide deaths and injuries account for far more fatalities in most years than all natural disasters combined. “From my 38 plus years of experience in the fire industry, I can tell you that no one is immune,” said Marshal Degnan. “Fire can happen anytime, anywhere – and too often ends in tragedy.” In January a family of 5 narrowly escaped from their home during a house fire caused by a hidden pipe connected to their woodstove. A family in Manchester were overcome with Carbon Monoxide and brought to the hospital. They were lucky, as there were no working smoke or CO alarms in the homes. 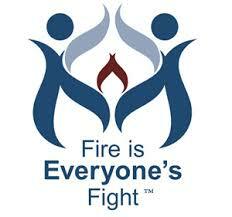 There have, however, already been 5 fatalities this year in New Hampshire residential fires. Working smoke alarms may have saved their lives! Degnan urges all residents to check your smoke alarms and those of your family, friends, and neighbors. Replace outdated smoke alarms [any installed 10 or more years ago] because age-related factors like dust, insects and airborne contaminants can impact alarms’ efficiency. If you have battery-powered alarms, choose replacement alarms with sealed, long-life lithium batteries. They offer 10-years of protection, are tamper-proof, and never need the battery replaced. Don’t forget to install alarms on each floor and inside/outside of sleeping areas. Place UL-listed fire extinguishers within reach on every level of your home; make sure they are within reach in rooms like the kitchen, garage and bedrooms. Develop and practice an escape plan with your family; know two ways out of each room. Extreme weather conditions should prompt all of us to take stock in our home emergency preparations. But don’t ignore the simple steps that can help save lives throughout 2014. For further information visit the website www.nh.gov/co or contact us at FMO@dos.nh.gov. Get more tips on the NFPA website here: generator safety information and safety tips sheet.